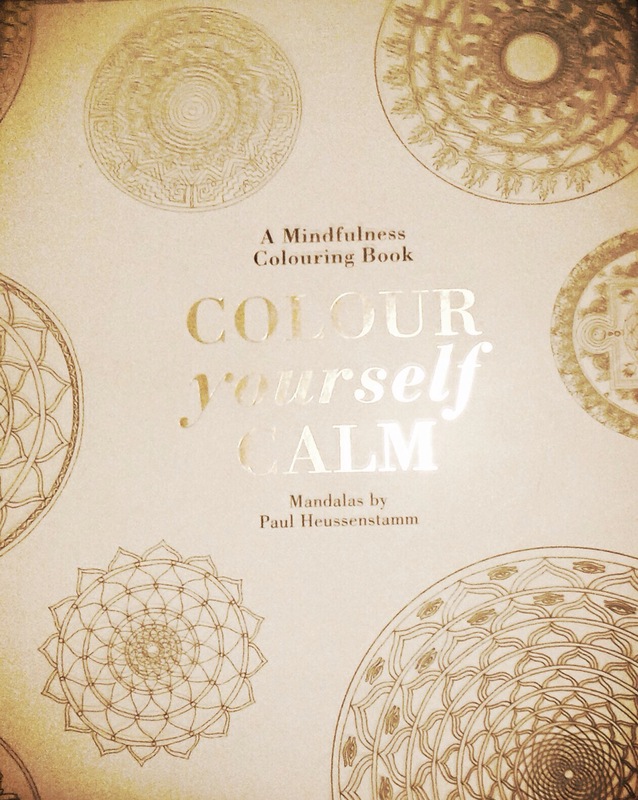 There are quite a few mandala colouring books available for adults and I chose this one, in hardback, from a local bookshop as it looked quite challenging, but also had an informative introduction on how to use posture, breathing and concentration to achieve mindfulness as you undertake each mandala. 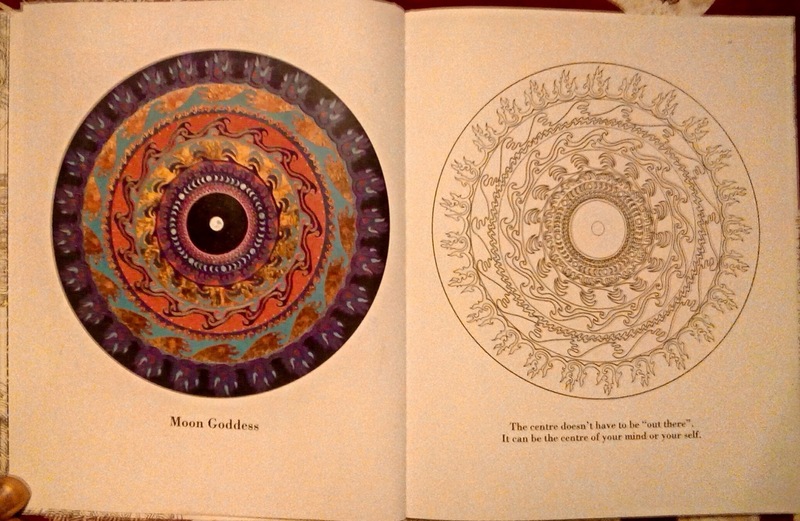 1 schematised representation of the cosmos, chiefly characterised by a concentric configuration of geometric shapes, each of which contains an image of a diet you or an attribute of a deity. 2 (In Jungian psychology) a symbol representing the effort to reunify the self. 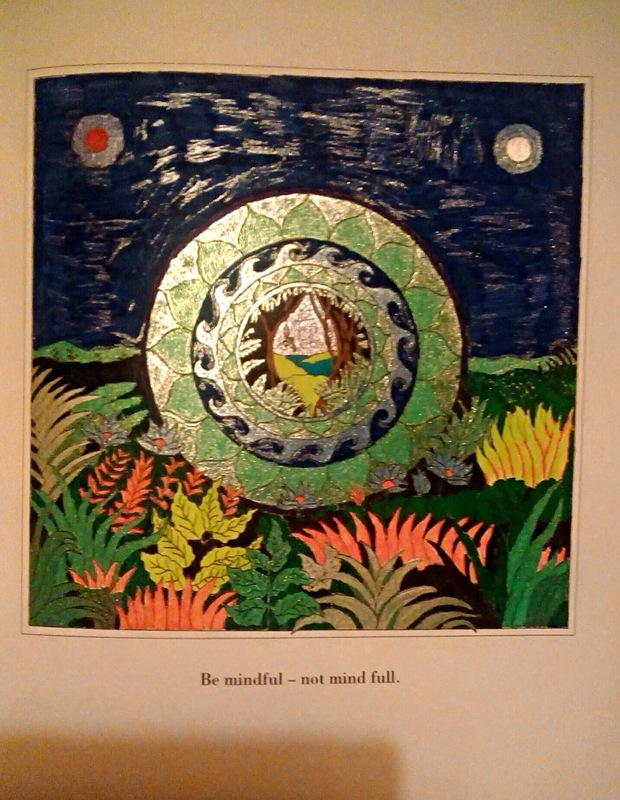 I felt quite daunted when I chose my first mandala to colour as it can be quite intricate, but once I was relaxed and realised the exercise was the most important part of the endeavour not the resulting artwork, I enjoyed the challenge and was pleasantly surprised with the results. 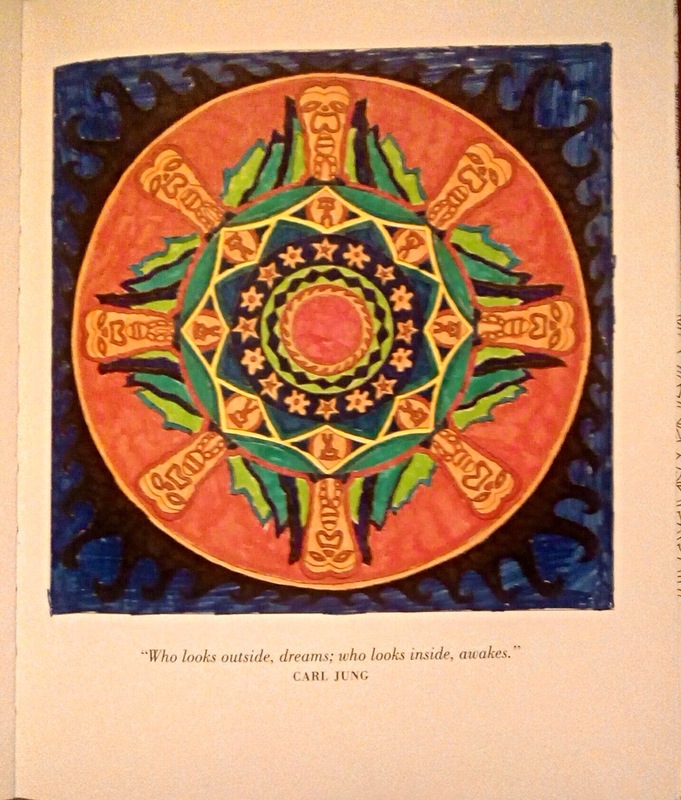 The book gives you the colour version of the mandala but you do not need to stick to the colour scheme suggested, but I have stayed close as I enjoyed interpreting what was already on the page and concentrating on my posture and breathing. 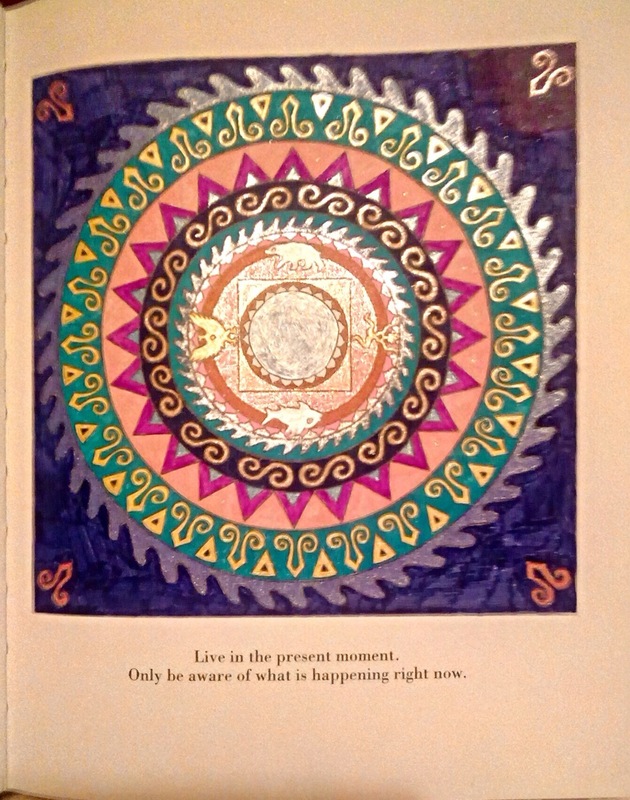 As I use mainly gel and felt tip pens I start at the center of the mandala to avoid smudging my work. 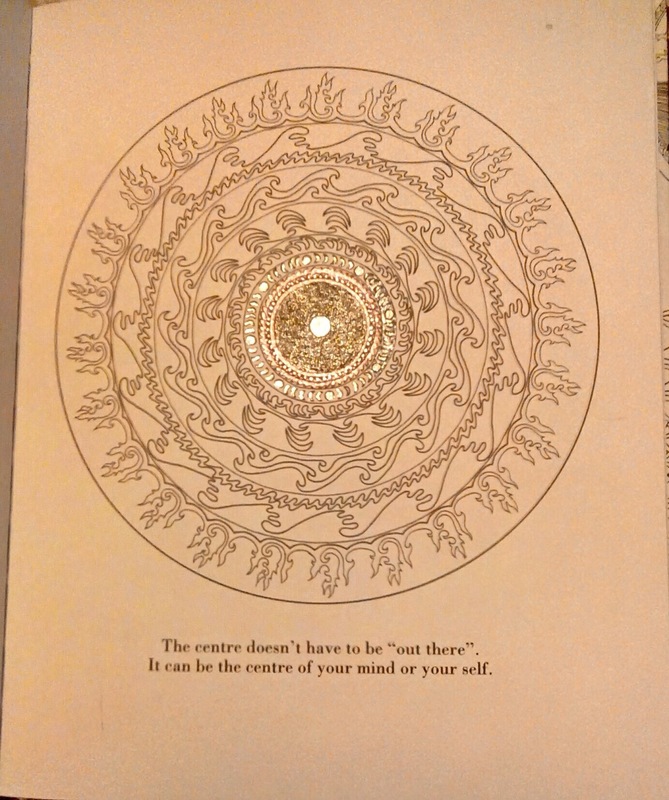 I only start a new mandala if I know beforehand I have time to complete colouring it. The paper is of good quality in the hardback book and ink does not leak through to the other side. Beautiful work! 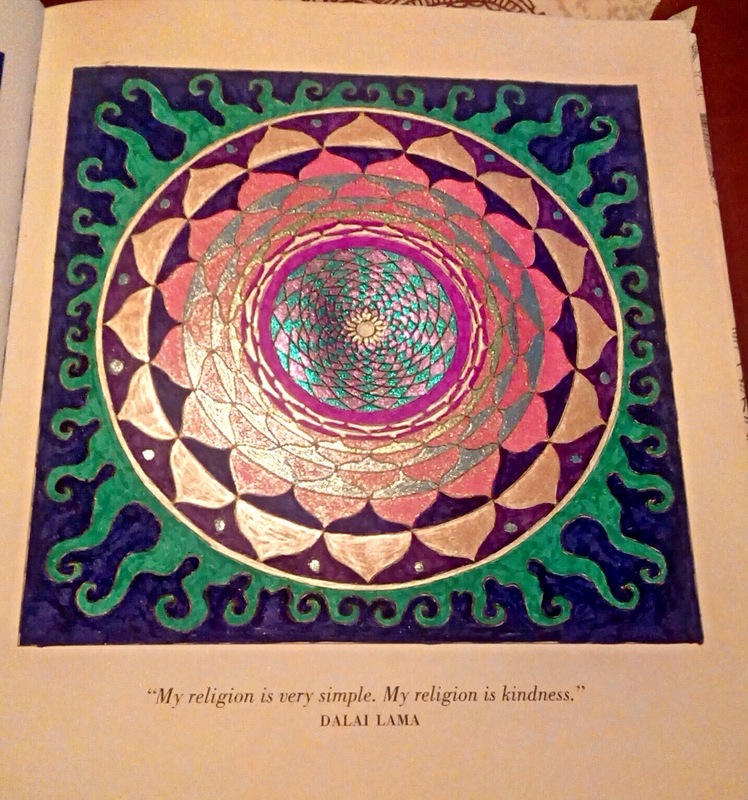 My husband just gave me a mandala book but I still need to get the gel pens as I think they add an extra dimension to the coloring. I found the best gel pen selections on Amazon, which had metallic, glitter, pastels and melons. Lovely! My sister and I exchanged colouring books at Christmas for year…now it’s much easier to find something worth giving. Definitely and the selection seems to be growing by the week.